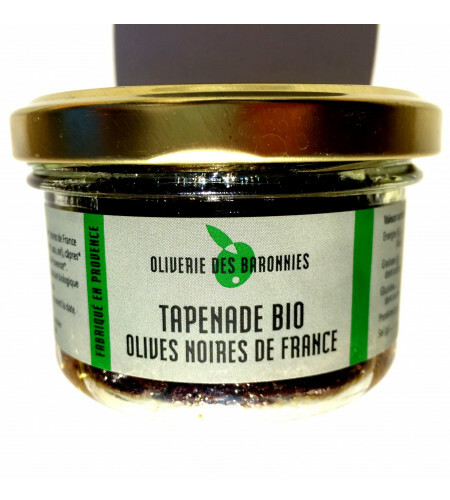 > The sunny market>Organic Black olives Tapenade from France 90 gr. Organic Black olives Tapenade from France 90 gr. A kind or taste enhancer of your dishes. Organic Black olives Tapenade from France 90 gr. Ingredients: Black Olive pulp * from France (variety Tanche) 96% (olives *, water, salt), capers * (capers *, water, salt), herbs of Provence *. * Ingredients from organic farming.